As a huge Disney fan, I absolutely love the live action movies they have been making from Disney classics such as Cinderella and Maleficent to the most recent movie, The Jungle Book. My daughter and I went to the theaters to see The Jungle Book and it immediately became one of my favorites. It’s action packed but still has that lovable Disney feel from the original movie. We got a chance to watch The Jungle Book on Blu-ray a little early and I was very excited for my family to see it. I knew they were going to love it just as much as I did, and I was right. It was a great addition to Family movie night. I Am Mowgli – Follow the extraordinary journey of 12-year-old Neel Sethi, who was selected from thousands of hopefuls worldwide to play Mowgli “alongside” some of today’s biggest movie stars. Get a glimpse of Neel’s life before Hollywood came calling, check out his audition that sealed the deal, and see how a close-working relationship with Favreau brought out his best. Plus, Neel shares how filming “The JungleBook” was one wild ride, from working alongside imaginary animals to performing some super-fun stunts. Because I love this movie so much, and I think you will too. I’ve included some fun downloadable Jungle Book printables for you and your family to enjoy. To Print just click on the photo below. 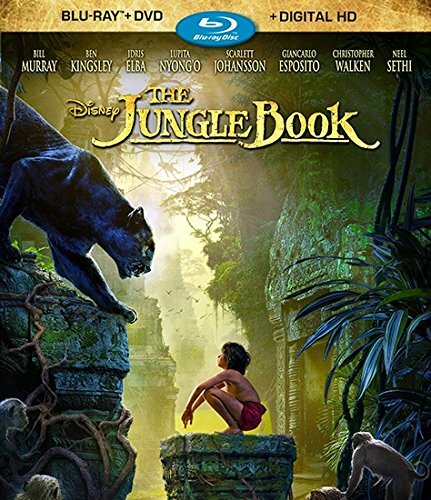 You can purchase Disney’s The Jungle Book on Amazon right now.